Hotel Playa Coco is located in Cayo Coco which is an island within the world famous Jardines del Rey archipelago found on the north coast of Cuba and, separated from the mainland by a 17-kilometer-long causeway road which traverse over the clear Caribbean waters. Hotel Playa Coco offers plenty of privacy and is just one kilometer away from the world’s second longest coral reef. The beach on which the resort is built is two kilometers long and is surrounded by a great variety of wildlife. Hotel Playa Coco is decorated in colonial style bright colors and features 8 low rise 3 level buildings with a total of 307 comfortable air-conditioned rooms combining modern and traditional elements and comfortable furniture. Just 17 kilometers from the Cayo Coco international airport and very close to splendid places such as Sitio La Guira, La Silla Look-out Point, Flamencos Beach, Cayo Guillermo, Pilar Beach and Forbidden Beach. All of which are major attractions in this area of Cuba. During the hotels short history it has been managed by several different international hotel chains and was known as Be Live Playa Coco or Hotel Oasis Playa Coco. It is today managed by Cuba’s Gaviota group, one of the islands premier travel groups. Hotel Playa Coco in Cayo Coco offers an ocean front location, steps away from the calm Caribbean seas and beautiful snorkeling and diving paradise of Jardines del Rey, recently featured on CNN with Anderson Cooper. As a four star Hotel, the quality of the found and accommodation is excellent and the all-inclusive buffet offers tremendous variety. 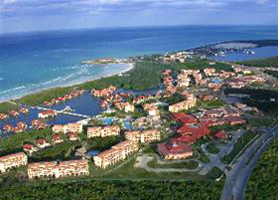 Hotel Playa Coco Cayo Coco is usually in very high demand and, as such, should be booked in advance. Our booking program allows reservations at Hotel Playa Coco Cayo Coco without down payment or deposit which will guarantee your dates and also allows preferential modifications should your dates change in the future. Our booking process is unique because it shows the best rate from all of these for Hotel Playa Coco in Cayo Coco Cuba and the types of rooms available. 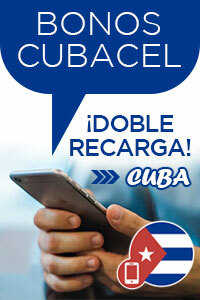 Our Hotel Playa Coco Cayo Coco rate comparison is an industry first for Cuban Hotels. Once you’ve compared the rates, finalizing the booking at Hotel Playa Coco Cayo Coco takes just seconds and an immediate confirmation is provided in real-time. 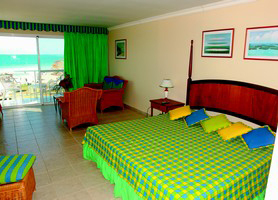 Hotel Emperador Laguna Villas and Resort is located on the Cuban island of Cayo Coco which is part of the Jardines del Rey Archipelago on Cuba’s north coast. This virgin region is a true ecological paradise, with 600 meters of white sandy beach and turquoise blue waters from where you can take a glass boat to a nearby coral reef for snorkeling. The resort is built among a natural lagoon, with a variety of plants and animals. The Emperador Laguna Villas and Resort was formally formerly called NH Krystal Lagoon Villas and Resorts. The new management at the resort have also undertaken a completed renovation of property which looks fantastic. Hotel Emperador Laguna Cayo Coco is usually in very high demand and, as such, should be booked in advance. Our booking program allows reservations at Hotel Emperador Laguna Cayo Coco without down payment or deposit which will guarantee your dates and also allows preferential modifications should your dates change in the future. Our booking process is unique because it shows the best rate from all of these for Hotel Emperador Laguna in Cayo Coco Cuba and the types of rooms available. 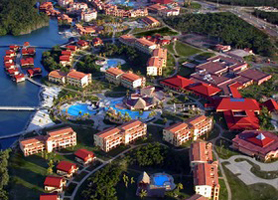 Our Hotel Emperador Laguna Cayo Coco rate comparison is an industry first for Cuban Hotels. Once you’ve compared the rates, finalizing the booking at Hotel Emperador Laguna Cayo Coco takes just seconds and an immediate confirmation is provided in real-time.